With an evolving digital landscape, both small and large businesses can expect new challenges when it comes to generating an ecommerce strategy. Along with these new challenges comes new ways of resolving them. The solution required should have the capability to evolve and adapt to allow for the best growth potential. Providing this capability is one which NetSuite not only pioneered, but continues to lead with. Being an award winning ERP cloud solution, they currently support commerce businesses worldwide with SuiteCommerce. Backed by professional services, partners and dedicated support, SuiteCommerce provides all the tools you need to succeed. As the ecommerce trends of 2019 emerge, we are seeing SuiteCommerce enabling businesses to meet and respond to these new trends. So what kind of challenges can we expect to continue into the year, and how can SuiteCommerce help resolve them? Back when ecommerce was in its infancy, many businesses approached their ecommerce strategy in a very 2D manner. This meant they were focusing their attention to one or two channels only. In 2019, companies are a lot braver in existing as a multichannel business. The challenge comes in the form of company structure. A single marketing individual for example, may have been responsible for just one channel previously, but this has now shifted whereby a marketer is now responsible for the experience across multiple channels. So how can a company adapt to this change as seamless as possible? SuiteCommerce offers unified multi-channel, multi-location and multi-currency features in order to create a seamless omnichannel solution. Therefore you can connect up multiple webstores and platforms such as Amazon, WooCommerce and Magento to the cloud. With such a large dataset, SuiteCommerce has simplified the experience with the ability for employees to be assigned user permissions based on their role within the company. This means you will have an overview of the ecommerce business as a whole. You will also have the ability to view the roles and permissions of each individual in it. In turn, the unified experience will allow for a more customer-centric experience. With an infrastructure which connects business applications, you can create a more personalised shopping experience for your customers. As many online companies were finding their feet in the digital world, the spend on marketing tools had been escalating. However, a trend for 2019 is that the ROI is now being looked at more closely. Many companies have established themselves online and want to now learn how to make the most of their investments in digital marketing. With large amounts of data, how can this be achieved? SuiteCommerce is integrated with a CRM system, which enables real-time visibility into campaign performance and costs across a business. The system also enables the segmentation of customers in order to drive personalised offers and merchandising via onsite recommendations and email. 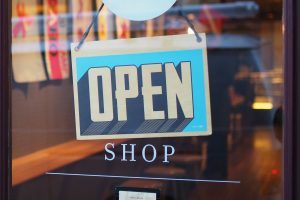 As more and more businesses become established in the online world, the new hot topic trending in 2019 is converting from a successful online store to an additional successful offline store and for them to coincide seamlessly. This transition can often seem daunting, believing it will require over complex systems to manage it all. You can be confident with your online to offline transition with SuiteCommerce. It’s real-time inventory management, visible for all your channels, including offline and phone sales provides that seamless solution which is so important if you are looking to take your business to the next level. SuiteCommerce will also allow you to connect with your supply chains to ensure no disruption in availability. Being a business in the digital space is always evolving. Given these present trends, it is important to make decisions and investments which will help not only operate your business now, but will help nurture and grow it into the future. With SuiteCommerce, the probability of success online and offline will only increase. Have you found challenges moving from online to offline and are considering a cloud based solution? Please feel free to leave your thoughts down below.